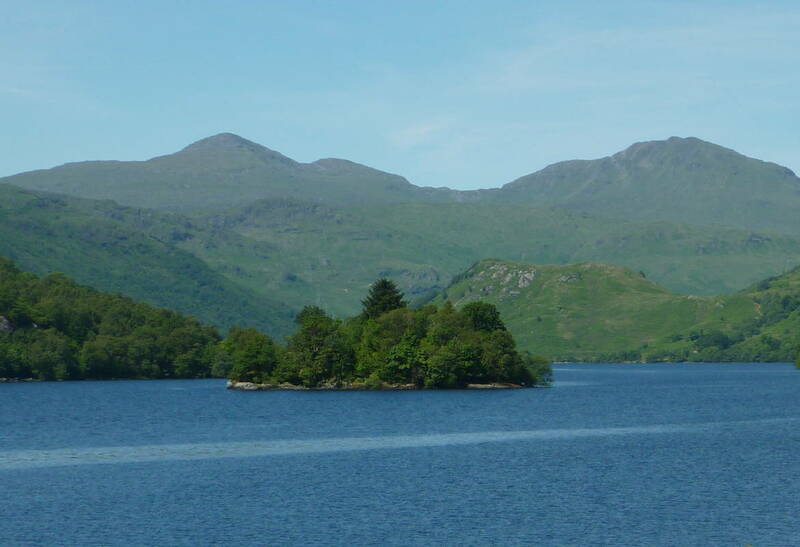 Island I Vow also know as Inveruglas Island houses the ruins of a castle which was once home to the chiefs of the Clan MacFarlane. It is situated on Loch Lomond opposite the Loch Sloy hydro electricity plant on the west of Loch Lomond and Inversnaid on the east. Accessible only by boat the castle ruins are nestled between the trees and provide an example of 15th century architecture. It was destroyed in the seventeenth century by Oliver Cromwell’s Roundhead troops and according to William Wordsworth who visited in the early 19th century was inhabited by a hermit. Many stories remain about the castle and island with various nobility visiting or taking refuge throughout the years. The island is isolated and provides a calm and serene environment for you to enjoy a day out on the water.